The 10th Annual JB Arts Festival kicks off September 6th and has events through October 5th. Angels on the Hill – Angel Art and Dance Studio is an integrated art school equipped with innovative ethnic dancing skills, combining creativity with spirit and dancing principles. 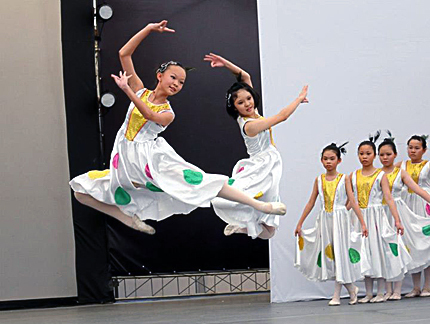 Established in April 2001, the school specialises and promotes traditional and cultural dance in Johor Bahru. They will be presenting 12 different dances, featuring 120 students ranging from the age of 3 to 21. For the first time this year, they are charging an entrance fee of RM5 for all shows and performances (except ticketed events).